NBA Street released in 2001 for the PlayStation 2 and received three sequels. People who played the original games on PS2 will know why it's so beloved. NBA Street's arcade gameplay, easy accessibility, urban vibe, stellar commentary, hip hop music and flashy basketball moves are just some of the reasons why fans still ask EA for a new game. 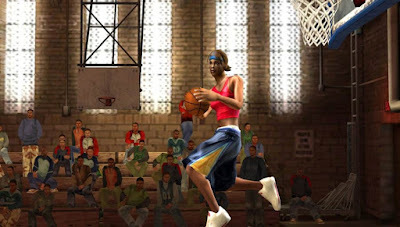 In story mode the player had to defeat the court's "Street Legend." 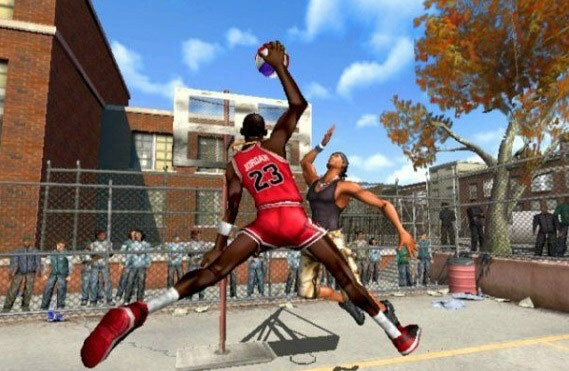 As you're aware the game allowed players to play in urban basketball courts with basketball players from the NBA league such as Michael Jordan, Lebron James, Kobe Bryant and Shaquille O'Neal to name a few, but those weren't the only players you could pick, there were also Street Legends. In story mode the player had to defeat the court's "Street Legend." Streetballers who acted as bosses and could only be added to your team once you beat them. These characters weren't generic basketball players neither, each baller had their own look, personality, unique skills and dress style which made them stand out. Some of these characters became mainstay characters in the franchise while others weren't seen again. 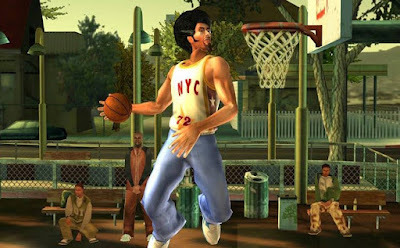 Each NBA Street game introduced new characters who dominated the basketball courts of their respective city in style and grace. 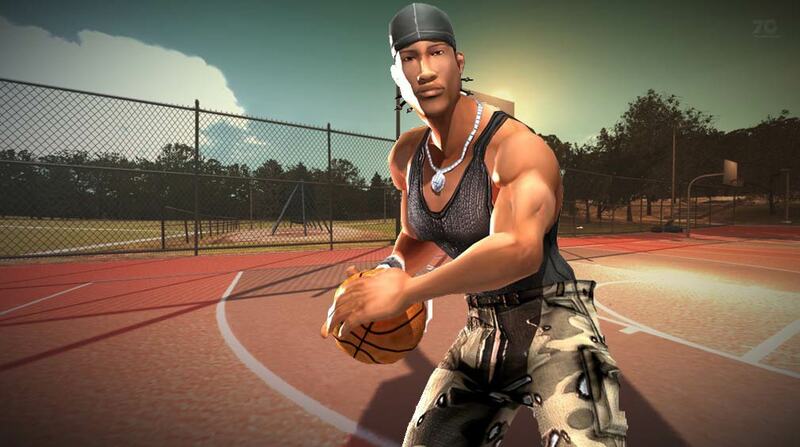 Here's the greatest streetball players of all time in video games. Stretch has been representing the old school since his debut appearance in the original NBA Street. He's known as one of the greatest basketball players never to make it to the NBA. Over the years Stretch has become a virtual icon at Rucker Park, where you'll find him educating youths on the artistry and science of streetball. Don't let Stretch's old age nor grey hair streak deceive you, because the granddaddy is still able to hang with the youngsters and best of the best. He's got the handles, hops, heart and has been holding it down for over a decade along with his afro. Carlito Vargas better known as Bonafide is one of the most reputable street ballers around. Seen by many as a shorter but harder Allen Iverson. you could find this dude playing ball at Broad Street in Philadelphia. However in NBA Street V3, Bonafide now holds down the Dyuckman Park court in New York City, one of the most competitive streetball courts in existence. Bonafide is best-known for his highlight reel dunks and insane handles which often throw off mesmerizing defenders who dare step up to this fiery Afro-Latino. Bonafide is the epitome of streetball, he's flashy, gifted and always on the prowl for another win. First appearing in NBA Street V2 as one one of the new Street Legends, Osmosis' height isn't the only thing you have to worry about when going up against him, opponents also have to watch out for his handles, which are quite impressive for someone of Omosis' gangling statute. Not only does he have impressive handles but Omosis is very good at mid-range shots. 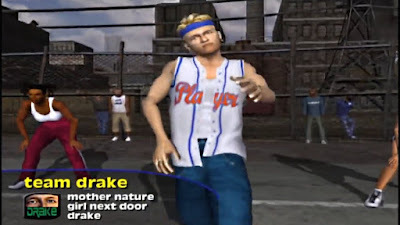 Drake's only appearance in the series was the original NBA Street game where he was found playing basketball at The Yard, a court in Detroit Michigan, he was well known for giving players trouble with his three-pointers and all-around skills. About all Drake couldn't do was dunk. He would later relocate to New York and went from a street baller to an aspiring street fighter in Def Jam Vendetta. The name of his Blazin' finishing move in Def Jam Vendetta is a reference to NBA Street. 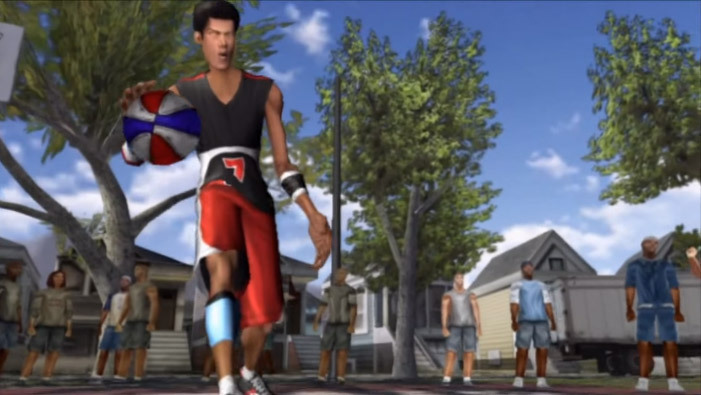 Takashi made his first appearance on the rooftops of Los Angeles in the original NBA Street game. Skipping NBA Street Vol 2, the shot-blocking menace returned in NBA Street V3 replacing Osmosis. At 7'ft, 8 inches tall, Takashi-san is an imposing defensive threat who enjoys keeping the defensive lane free of traffic, unsurprisingly he doesn't have the best handles. To sum it up, you could say Takashi is a Japanese Yao Ming, which is ironic because Yao Ming wasn't in the NBA when NBA Street was first released back in June of 2001. 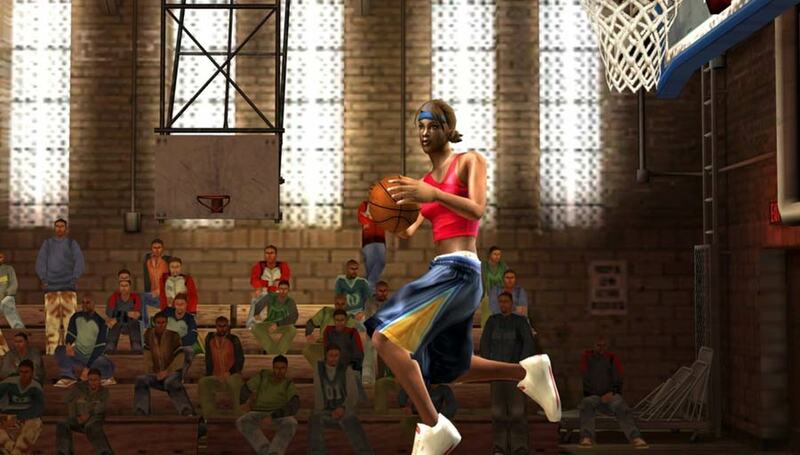 The first female of NBA Street. 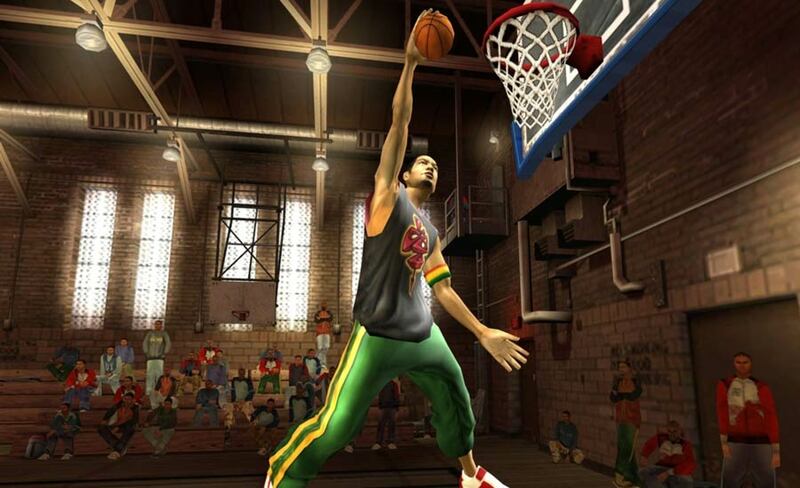 Dime first appeared in NBA Street Vol.2 playing at the Lincoln College in Los Angeles. In the next game she can be found balling at The Dome in Baltimore. The young girl earned her rep by displaying an all-around game shown by her insane dribbling and fast hands on defence. The only thing holding Dime back is her small frame and lack of power. The prodigy with the grown man handles made his first appearance in NBA Street Vol. 2 where you could find him playing ball in on the Windy City court. 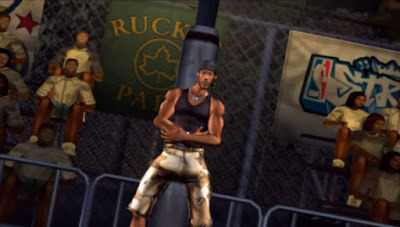 In NBA Street V3, Biggie Little has made one of New York City's most renowned streetball landmarks, The Cage on West 4th Street, his new whipping block. The little man is well known for breaking ankles as he is for swiping the ball out of his opponent's hands before they drop their first dribble. Still only a child in a grown up game, Biggie Little won't be dunking any time soon. Those who are able to, take advantage of Biggie Little's meek size and strength. What About a New NBA Street Game? NBA Street is one of the video game series we hope is revived by EA. 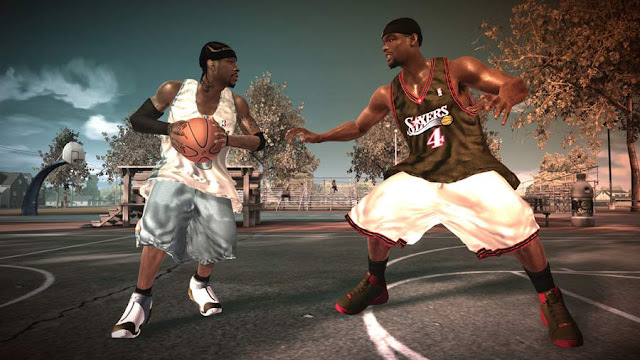 In a 2011 interview, An EA Sports boss said there were currently no plans to bring back NBA Street or Def Jam, following reboots of FIFA Street and SSX. In 2013 EA Sports revived the NBA Live basketball franchise but many fans believe it's failed to live up to the hype. After three consecutive unsuccessful entries, it's time for EA Sports move on. 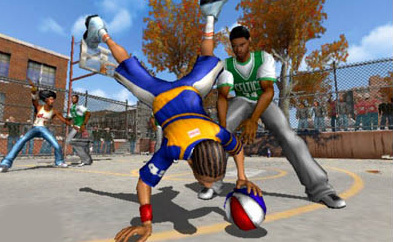 However, EA doesn't have to stop making basketball games, instead this would be the perfect opportunity to revive another one of it's aged franchises; NBA Street. At this point it's clear that NBA Live can't compete with NBA 2K and it doesn't have to. Many players would welcome a basketball game that's easier to pick up and this niche hasn't been touched in several years. Now is the time to bring back NBA Street from the dead. Your thoughts? This one of the top 3 best basketball games I have ever played. This game was so much fun back on PS2, I'd love for EA sports to make a new one. Why isn't this or Def Jam FFNY on psn and xbox live? NBA Street is perfectly suited to being an PSN/XBLA game. I always wondered why EA never bought NBA Street to the PSN or Xbox Live, PS3 was the perfect chance to do so. Ea sports should remake Nba & Nfl street with today's graphics on PS4 & Xbox, it's a must. Can't believe that they ported Fifa Street but left NBA Street on the back burner. Biggie Little looks like lil bow wow or am I tripping? Definitely want a new nba street because I can't get into NBA live or 2k. Damn didn't even realise they based Biggie Little off Bow wow, now it all makes sense. I was just thinking about all the time I spent playing NBA Street growing up and how much fun it gave me as a casual NBA fan. I find Live and 2ks basketball games to be very complex and difficult to grasp and sometimes I just want to do some crazy dunks. 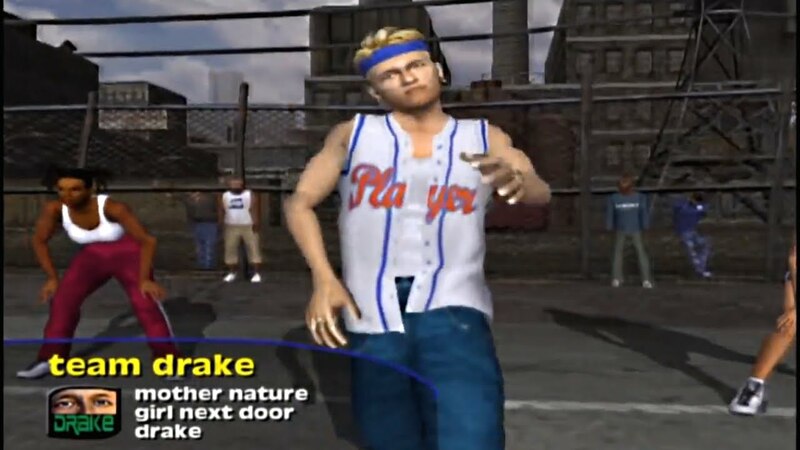 We haven't had an NBA Street game since Homecourt in 2007. I could've sworn NBA Live 16 sold only 8300 copies in September 2015 while NBA 2K sold over a million copies. NBA Live isn't just 4-5 years behind where 2K is, they're not even in the conversation. The games are night and day. An NBA Street or Jam franchise will sell better, and then they can wait and see if 2K falls off a cliff (highly unlikely). Only thing NBA Live 16 is good with is graphics. However using those graphics for a reboot of NBA Street would be dope. I grew up on NBA Live so it hurts to say, but those numbers are abysmal. Focus on an NBA Street reboot or a downloadable NBA Jam game. If EA Sports could use the engine from NBA Street Vol. 2 and use the modern NBA roster, it could be something awesome. Just make it NBA Street Vol. 2 with updated rosters, updated graphics in 1080p, more old school hip hop tracks, NBA Street Homecourt's game breaker format, and online play and you would have a perfect game. If Ea Sports were smart, NBA Street would be their go-to basketball game since they'll never be able to compete with 2K again with a sim at this point. I have been a huge fan of video games; in most of the cases, I love to play new games with new excitement. But apart from new games, I am very much fond of basketball and tennis games. So in most of the occasion, I would like to play basketball games online and learn some new techniques of playing basketball.